We are pleased to say that when it comes to man and van services in Well Hall surrounding areas, we are by far the leading contractor you can get in touch with. Our trained and very responsible movers will help you get your property moved from point A to point B quickly and without any hassle whatsoever. You will not have to lift even a finger in order to get the job done. The licensed technicians we will send together with a van (for just 180 pounds for two men for half a day and 320 pounds for a full day’s job) are going to take care of every single detail for you. Our clean vans, which all have moving blankets, trolleys and GPS coordination will ensure the quick and safe transportation of your goods to the new place. Get in touch with us and forget about your worries concerning the manner in which your removal in Well Hall area in SE9 is going to be handled. We will do the job at a time that would be most comfortable for you. Given our flexible schedule, late night operations and even last-minute booking is not a problem for us. We are here when you need us. We carry out office removals too. If you move your business you want everything to be done properly and on time. We are going to make sure that is exactly what happens. Get in touch today for booking and a free quote. 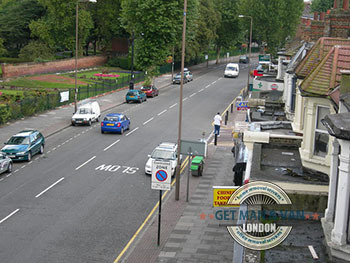 Well Hall is a place in SE9 Greenwich, and more precisely in Eltham, which as you may already very well know is one of the major centers of Greater London. Well Hall was a manor estate owned by Sir John Pulteney, who is a four times Lord Mayor of the City of London, and then to the wealthy William Roper and his wife Margaret – the daughter of Sir Thomas More. The house and the surrounding gardens are astoundingly beautiful and it is no wonder that even to this day Well Hall is considered to be the crowned jewel of Greenwich.